One glance at the New Age XUV500 and you know its captivating, cheetah-inspired styling breaks the mould of the ordinary with its enthralling and majestic presence on the road. The bonnet has been raised to mimic its strong and slender shoulders. And its new chiseled and sculpted lines catch the eye. 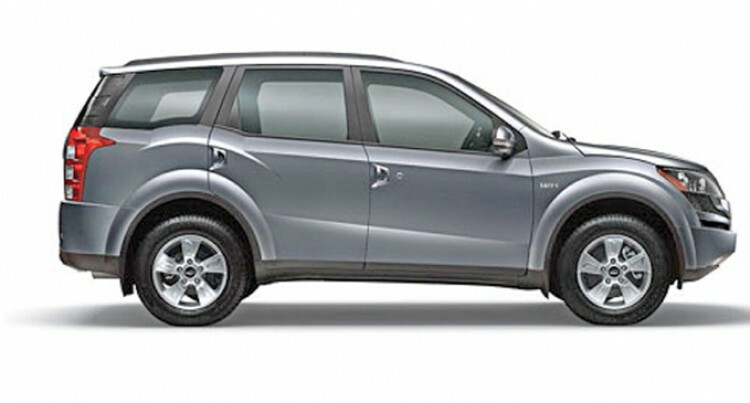 Enhanced further with sleek chrome accents and stylish new alloy wheels, the XUV500 has been completely overhauled. Up front, the new static bending projector headlamps with light guides embrace the bold and intimidating new stylish front grille. The addition of stylish black accents, brings alive the cheetah’s unmistakable tear ducts. The XUV500 is a pioneer, even in design. Walk around the vehicle and you’ll discover how every single element has been masterfully sculpted. A chiseled, aerodynamics body that ruthlessly cuts through the air to provide limitless exhalation. Racing-inspired twin exhausts. Even uniquely designed tail lamps that look worthy of being followed. Clearly, the only thing lacking in design is a compromise. Whether you are on an off-road adventure, or steering through city traffic, every drive in the Mahindra XUV500 Automatic is guaranteed to be hassle free. The New-Age XUV500 comes with a six-speed Automatic Transmission. It allows dynamic gear shifts that are smooth and barely perceptible. Thrill seekers can switch to the AWD option that ensures the vehicle is equipped to take on rugged and slipper roads with ease. Mahindra XUV500 automatic along with range of Mahindra vehicles and Mahindra Tractors are available from CarCity showroom, located at 88 Jerusalem Road, Nabua, Suva and on Queens Road Navo Nadi. All new Mahindra vehicles are backed by a 3year/100,000km warranty in Fiji.